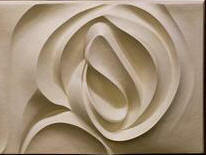 I love the transmutative, sculptural nature of paintings by Georgia O'Keeffe and Emily Carr. The paintings convey relationship between the visible world and the unseeable, and appear to hold the energy and meaning of that within. I am taken into the expanse of the natural forms pictured, to perceive life from the inside, out. 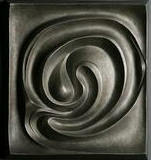 The relief sculptures you see on this web site are sculptures that hang on a wall as a painting would. They form a body of work which began with a desire to convert O'Keeffe's intimately monumental flowers, and Carr's cathedral forests, into three dimensions. In the process, a sculptural method of exploring and expressing my own inner landscapes evolved. Whereas Carr and O'Keeffe often painted from a recognizable physical object, a totem or pelvic bone, I sculpt largely from my inward impressions of natural form. In either approach, metaphor materializes, meaning takes shape. I sculpt my medium depth reliefs in cellulose reinforced plaster filler, a material more typically used in household repair for filling cracks or holes in plaster walls. I work with it in progressive cycles of modeling and carving, to gradually build and refine forms into a final composition. It sets slowly, dries quickly and is easily sanded smooth but it is not an enduring material. A flexible rubber mold is made from each completed work in order to reproduce the original by casting into a more permanent material. I work with a foundry to cast in metal, most often aluminum, at times bronze; or I cast in polymer modified gypsum which is a hard and durable form of plaster. 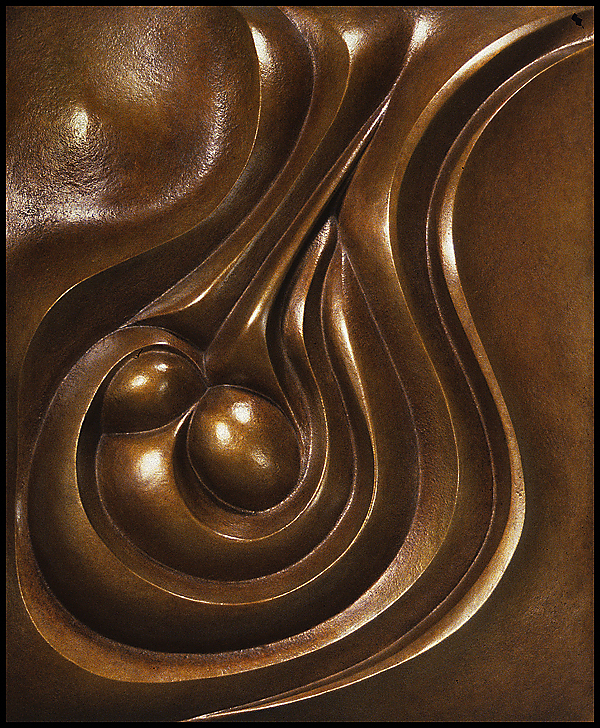 The aluminum or bronze lend both the luminosity of metal, and the contrast of added shadow and colour created by its patina. The gypsum is closest to the warm white of working the original, or it may be tinted in a range of earth tones. All available works are castings in limited editions. Requests for specific colour; other casting mediums; or enlargements, are welcome. To contact the artist, please click on the Send E-mail link (bottom left corner of this page or Home page).